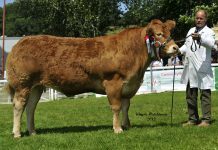 All producers of pedigree and commercial Limousin-bred cattle are set to benefit from a major development by the British Limousin Cattle Society, in association with SRUC Egenes, that sees the incorporation of international data within its latest genetic evaluation for the first time in the UK. The new information comes from a huge data set of over 2.3 million animals with performance records and 2.6 million animals with full pedigrees. Eleven countries contribute to it – Australia, Czech Republic, Denmark, Finland, France, Germany, Ireland, Spain, Sweden, Switzerland as well as the United Kingdom – sharing their records for 200 day (weaning) weight, since this is commonly measured across each country. 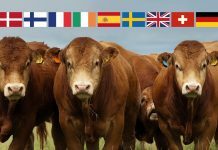 Additionally, calving ease and birth weight records are shared by the Czech Republic, Denmark, France, Ireland and the UK. 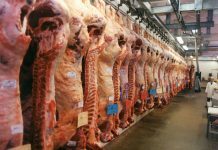 The work is the culmination of several years input by an across-country group of geneticists called Interbeef. 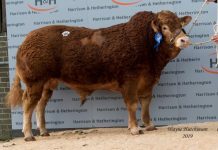 Supported in its early stages with funding from the British Limousin Cattle Society, Interbeef produces ‘across-country’ EBVs (Estimated Breeding Values) for Limousin which are now integrated with the Society’s own UK EBVs. 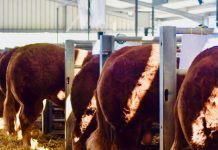 The work is a significant and exciting development for Limousin EBVs in the UK, boosting their accuracy and robustness to new levels, bringing benefit to pedigree breeders, commercial producers and all involved in the supply chain. The addition of the international data has increased the number of animals with performance records in the UK evaluation by around 14%. An increase in volume of records widens the pool of recorded animals from which selection decisions can be made, accelerating the rate of genetic progress that breeders and commercial producers can make. With the increase in volume of records comes improvement in the accuracy of the resulting EBVs. The EBVs directly influenced by the new data are: Birthweight, 200 Day Growth, 200 Day Milk Weight, Calving Ease and Maternal Calving Ease. For animals directly impacted by the new data, the average increase in their accuracy is 18% across them all, but with some individuals increasing by as much as 88% for specific traits. This will result in even more robust EBVs to the benefit of all producers, pedigree and commercial. 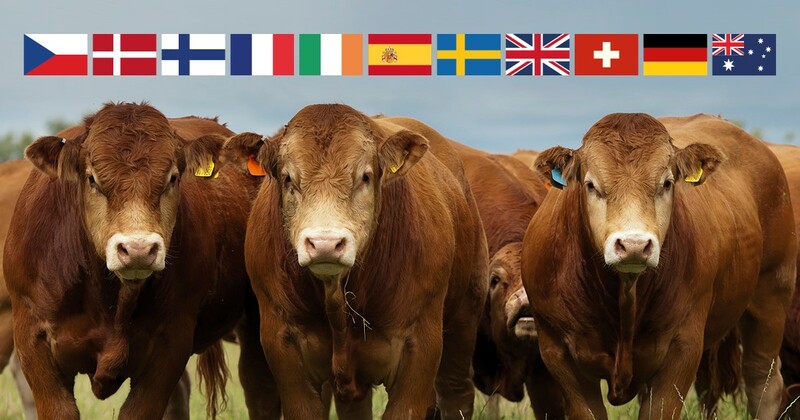 The international evaluation provides direct comparisons between animals in more than one country which is valuable for breeders contemplating exportation and/or importation of animals. Greater knowledge on performance will result in better breeding decisions and faster rates of genetic gain. 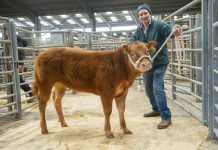 Says Iain Kerr, Chief Executive of the British Limousin Cattle Society “The incorporation of this level of international data into an evaluation is a welcome first for UK beef breeds and represents a significant opportunity to make increased margins from Limousin genetics. 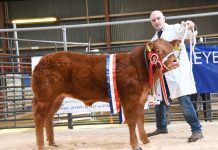 It comes close on the heels of incorporating new abattoir data last year that brought over 273,000 new commercial records to the Limousin evaluation – representing more than 10,000 Limousin sires – as well as the introduction of the now-familiar genomic breeding values (GEBVs) in 2016 and 2017. 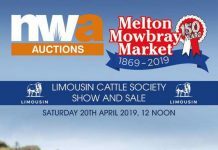 All these areas of work have concentrated on trapping large volumes of independent industry data to produce breeding values that are reliable, market-focused and will support all buyers of Limousin genetics well”. 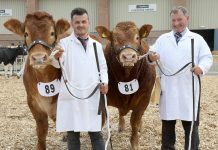 Concludes Iain Kerr, “The Limousin Society and its members are working to an ongoing agenda of technical improvement to ensure that the breed continues to offer ‘market-ready’ genetics and a means of identifying them now and in the future. 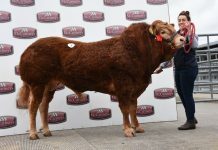 This is an important move in protecting the businesses of all Limousin producers, since markets can change very quickly”.